How To Use Official Email Addresses In the month of March (05 .04 .2016), after issuance of official email addresses by IT SUPPORT CENTER to all faculty members it was noticed that most of faculty members were not availing this facility. 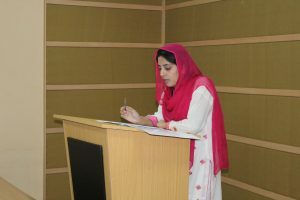 In this regard, IT SUPPORT CENTER arranged training session for faculty on “How to use official email addresses”. Faculty Training on How to Prepare Official Documents and Cloud Data Handling. 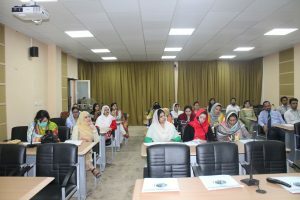 In the month of August (8, 9 &amp; 10) IT SUPPORT CENTER arranged faculty training session on how to prepare official documents and cloud data handling effectively. 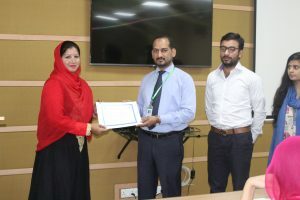 Faculty members were nominated from all departments and successful training session was conducted. Faculty Training on the benefits of use of office 365. 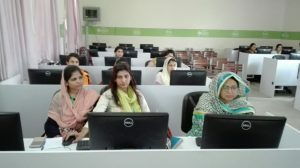 In the month of December (28, 29 &amp; 30) IT SUPPORT CENTER arranged 3 days training sessions on the benefits and efficient use of office 365. 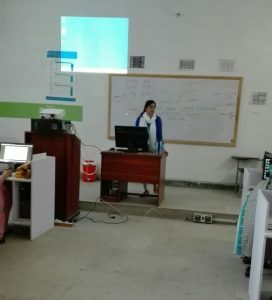 This training session content ensured the proper utilization of office 365 account assigned to the faculty members. 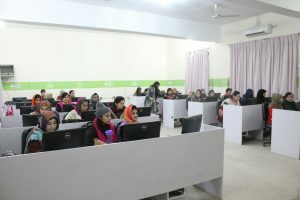 N- COMPUTING Training Session In the month April (30-03- 2016), N-computing training session was arranged by IT support center for ITSC team members and faculty of computer science and Information technology at IT LAB KHAWAJA SAFDAR BLOCK. 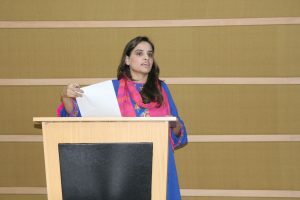 The resource person was Mr. Uzair from Mobilink. 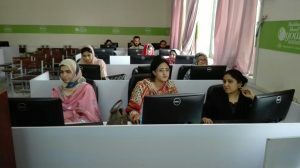 In the month May (19, 20-2016) HEC organized a training session on “Office 365 and Azure”. 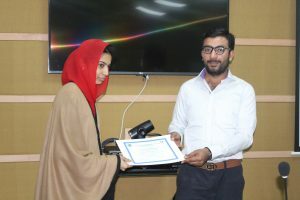 This training was attended by Mr. Muhammad Tayyab from IT SUPPORT CENTER. 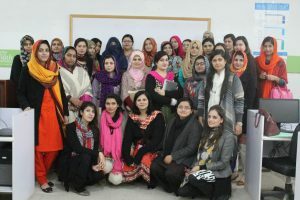 Pakistan Planning and Management Institute organized a training courses for 3rd Quarter. 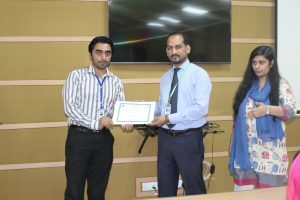 Mr. Muhammad Tayyab from IT SUPPORT CENTER attended a course named “ PRIMAVERA (Project Management Software)” on dated (1-3 Feb 2017). 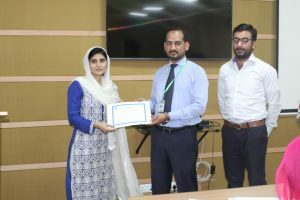 In the month of January (23 to 30 – 2017) Mr. Muhammad Tayyab attended a hand-on Lab Sessions on “DNS/DNS Security Extensions Workshop” organized by SANOG. 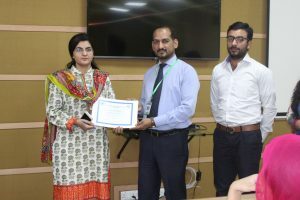 In the month of January (23 to 30 – 2017) Ms. Aliza Basharat attended a workshop on “Campus Network Design and Security Workshop” organized by SANOG.5. 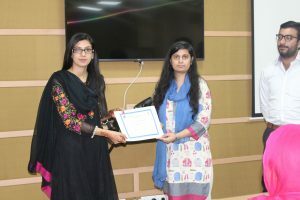 In the month of January (23 to 30 – 2017) Ms. Iqra Ilyas attended a training on “IPv4/IPv6 Routing Workshop” organized by SANOG.